As businesses continue to move toward cloud-based systems and collaborative environments, using a suite of tools that will provide unified communications to assist in getting things done is key. Office 365 leads the charge for technological change, offering more than just business communication solutions, but an environment where employees can capitalize on the work-life balance initiative while increasing productivity. How can Microsoft 365 help businesses? 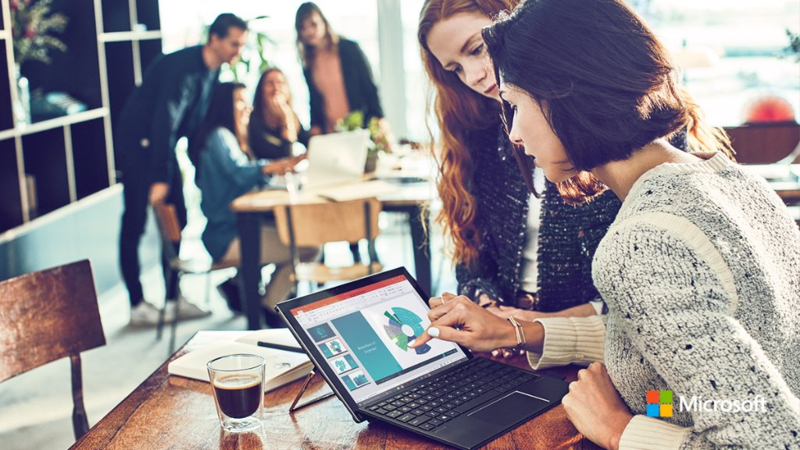 Microsoft 365 offers a comprehensive suite that enhances the business infrastructure and satisfies the need for effective communication tools that can be accessed and utilized across the company while on the go. It contains an internal social network for cross-collaboration between internal and external departments, supports file sharing, online meetings and works as powerful CRM to support the features that will increase efficiency and productivity. Microsoft Office 365 is a leader in cloud-based software suites because of its adaptability to businesses of any size, it’s low cost per user rate, seamless transition into administrative tasks and familiarity as a brand among business users. Every software application needed to accommodate IT needs are now available as a cloud-based service with Skype for Business and Office 365. An excellent choice for all business operations, there are a host of functionality levels to support any business enterprise. What are some additional features of hosted services? Skype for Business online introduces Web and IM conferencing, audio and video conferring, and SkypeB-to-Skype4B calling. The application also includes standard phone capabilities such as call hold and retrieve, transfer, forwarding, team calling, voice mail and mobile client support. This can be integrated with CallTower Complete for Office 365 as a bridge for anytime communications, offering reliability, collaboration, mobility and enhanced productivity at a cost-effective price. Exchange offers advanced capabilities and unified messaging throughout the organization while protecting sensitive data. Designed with data loss prevention capabilities, all data will be protected with a 99.9% uptime. For additional protection, mobile device lists can be created, and confidential information can be removed from lost phones to support a strong mobile device policy. Exchange is easy to use and can also be integrated with Outlook for a seamless transition. SharePoint works with the other Office 365 applications to provide a cohesive user experience to simplify business processes and the use of their content and data. SharePoint allows businesses to have better tracking and reporting, increases accessibility for users, and streamlines everyday business activities. Employees will be able to make better choices and informed decisions with shared processes and information thorough the integrated platform. How useful is this Software as a Service (SaaS) for business? Continual updates. There will be no more waiting for the next version to be released. Office 365 provides all updates at no additional costs for the client, and the software is updated on a more frequent basis. Unlimited potential for growth that meets the demands of any business structure at their price and usage point. Cost reduction in both hardware and software. Convenience and anytime accessibility – always on, always connected. Ready to learn more? Schedule your Consultation Today!